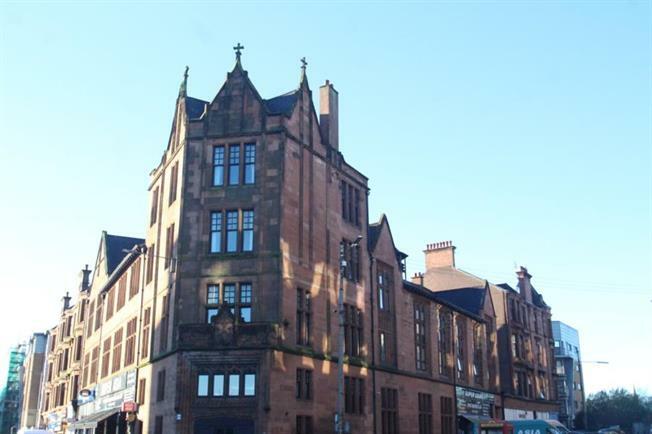 3 Bedroom Upper Floor Flat For Sale in Glasgow for Offers Over £150,000. Situated within a striking traditional red sandstone building that consists of only three flats and sharing lovely enclosed residents entrance, this exceptional top floor flat offered to the market in turn key condition with fresh new decor. The accommodation extends to reception hallway, spacious lounge, modern kitchen and separate utility with a range of base and wall mounted units as well as intergrated appliances, three double bedrooms with master benefiting from ensuite facilities and completing the internal accommodation there is a three piece family bathroom. Further benefits include gas central heating and double glazing. The property is situated in the highly sought after Pollokshields district to the south of Glasgow and is conveniently placed for access to a host of local amenities and excellent public transport services. In addition to this, there are excellent road links close by giving easy access to Glasgow City Centre and the Central Belt motorway network system.